Bozhidar is a classically trained pianist, composer and a music arranger. He started to play the piano at the age of six in his native Bulgaria. He holds a Bachelor’s degree in music from the University of Huddersfield, and a Master’s degree in composition from the National Music Academy in Sofia. As a postgraduate student he completed a semester at the University of Music and Performing Arts in Vienna via a student exchange programme. 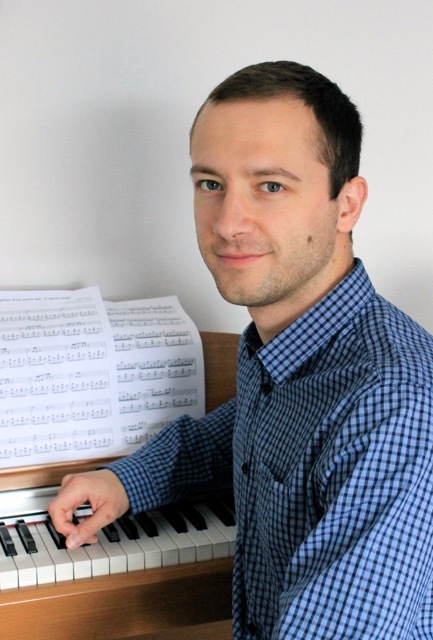 Bozhidar is aspiring to become a musicologist and he is currently undertaking a PhD research on Franz Liszt’s late piano music at City University of London. Throughout the years of thorough musical training, Bozhidar was taught by a number of distinguished piano tutors and experienced many different teaching methods. In his own teaching practice he enjoys sharing his professional knowledge and experience, and he carefully tailors the content of lessons to each pupil. He is particularly interested in finding the new and creative ways of teaching piano and communicating music to young beginners. I was very happy to find Bozhidar as a piano teacher for my two sons. He can really engage them in the music making and he tailors the lessons to their individual needs. They make a good progress and still enjoy playing the piano.